Every year, more than 22 million liters of plasma is utilized to manufacture life-saving medicines to treat more than one million people around the world. Baxter works closely with the Plasma Protein Therapeutics Association, or PPTA, to raise awareness of the importance of plasma donation to support a growing, global need for plasma-derived therapies. In 2011, Baxter received approval in Europe for use of immune globulin as a treatment for multifocal motor neuropathy, a neurological disease that attacks the peripheral nerves, resulting in progressive limb weakness. Baxter also is in clinical trials exploring the use of immune globulin as a treatment for Alzheimer's disease. 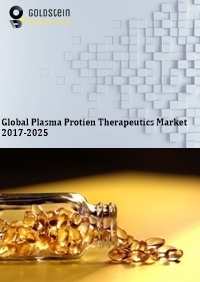 The global plasma protein therapeutics market is estimated to be at USD 19.78 billion in 2017 and is poised to reach USD 35.2 billion by 2025 with a CAGR of 8.81%. Increasing geriatric population, increasing new patient registration for hemophilia treatment, increased penetration of plasma derived products and rise in the number of clinical indications for immunoglobulin and investments in novel researches are boosting prospects for the market. Rare disorder like treatment of hereditary angioedema (HAE) has become possible due to the plasma protein therapeutics. However, stringent regulations and lack of proper reimbursement policies could hamper the plasma protein therapeutics market’s trajectory. Polyvalent IVIG/SCIG accounts for 40-50% of the global plasma proteins therapeutics market in 2017 that may vary significantly by region. Albumin and plasma-derived factor VIII (pdFVIII) each have a smaller share of the market (10-14% each) again with wide regional variations. Plasma protein therapeutics is increasingly used in the treatment of primary immunodeficiency disorder (PID) and is likely to exhibit a CAGR of 7.34% between 2017 and 2025. Trailed by the increasing incidence of secondary immunodeficiency disorders like diabetes, myeloma, HIV infection, and under-nutrition, applications of plasma protein therapeutics is likely to increase across the treatment of prolonged illnesses. North America plasma protein therapeutics market is expected to reach USD 12.98 billion by the end of 2025 from a valuation of USD 7.9 billion in 2017 exhibiting a CAGR of 7.9% during the forecast period. APAC tends to be the most opportunistic market for plasma protein therapeutics, on the account of rising demand for albumin and immunoglobulin. China is the major exporter of albumin across the world. Europe is the second largest market after North America owing to increasing demand for immunoglobulin (IG) and the increasing use of protein therapeutics. Latin America and Middle East & Africa plasma protein therapeutics market is restrained by low rate of diagnosis, unawareness and cost ineffectiveness. The report covers the present ground scenario and the future growth prospects of the facility management market for 2017-2025 along with the market players’ analysis. We calculated the market size and revenue share on the basis of revenue generated from major players worldwide. Plasma Protein Therapeutics market is forecasted on the basis of revenue analysis, product benchmarking and strategic developments of key market players. Global Plasma Protein Therapeutics Market Outlook 2017-2025, has been prepared based on an in-depth market analysis from industry experts. The report covers the competitive landscape and current position of major players in the plasma protein therapeutics market space. The report also includes porter’s five force model, SWOT analysis, company profiling, business strategies of market players and their business models. “Global Plasma Protein Therapeutics Market Report” also recognizes value chain analysis to understand the cost differentiation, pricing models to provide competitive advantage to the existing and new entry players. Our Global Plasma Protein Therapeutics Market Report comprises of the following companies as the key players: Baxter, CSL, Grifols, Octapharma, Bayer, Biotest, Kedrion, CBOP, RAAS, Hualan Bio, Tiantan Bio, Shuanglin Bio, BOYA.